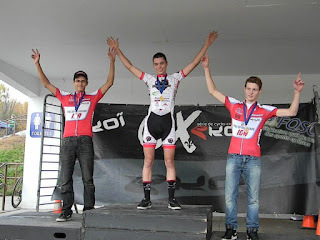 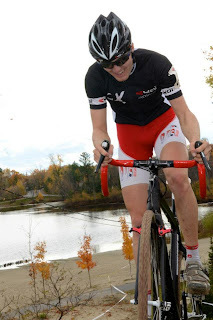 Felix Cote Bouvette on the podium for the EKOI Cyclo Cross series Stage held in Gatineau Quebec on Satruday October 20 2012. Felix Cote Bouvette still has the Jersey for the overall lead of the EKOI Senior Category. 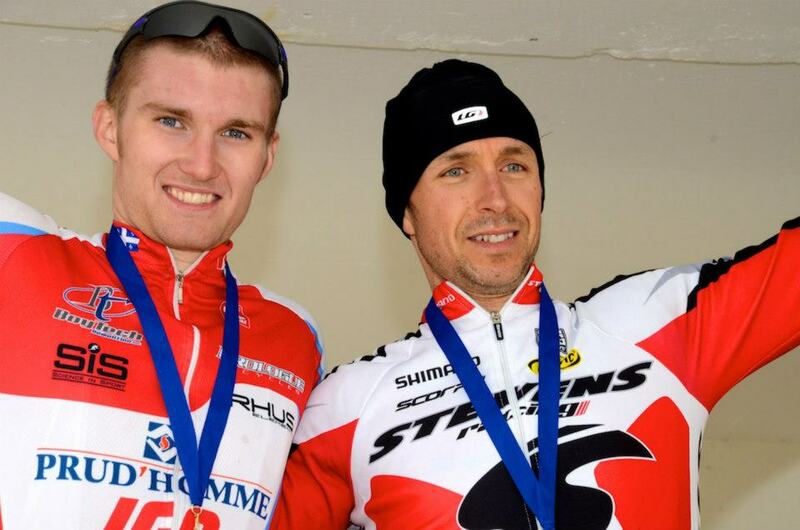 Felix Cote Bouvette sur le podium de Gatineau. Felix conserve le maillot de la série EKOI pour la catégorie senior.